Beautiful, virtually unbreakable, waterproof and weather-resistant stoneware markers that enhance rather than detract from the natural beauty of your herb garden. Each marker comes with a rustproof stake. 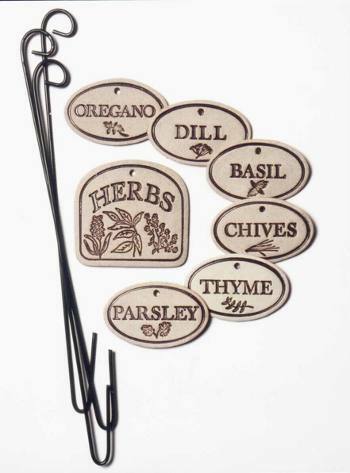 There are dozens of herb garden markers to choose from.